The computer filing system is a great alternative to a physical filing system. 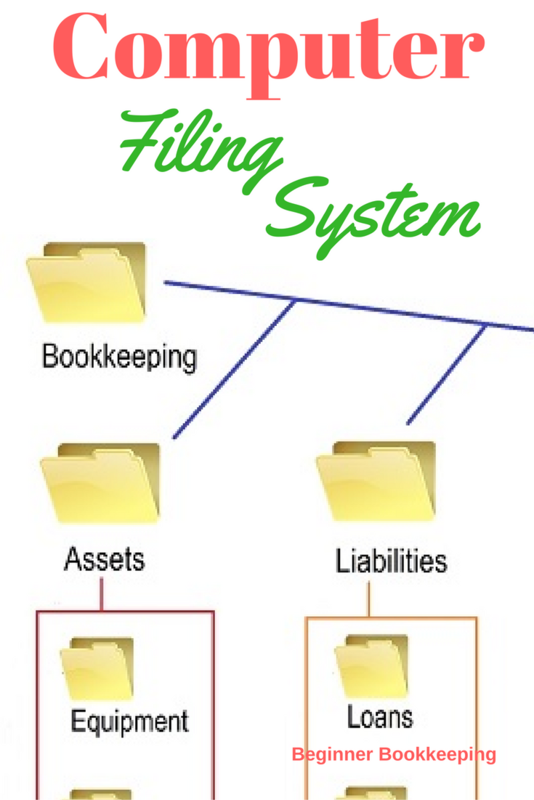 It is the best way to file and store all business documents, or as a personal filing system. Here I focus on how to use a digital or online system to store all documents relating to the bookkeeping of a business. The system for saving onto your computer’s hard drive, or saving to an online storage facility are the same – the only thing different is the location. You will need a scanner for all the physical documents you receive so you can scan and save them onto your digital system. 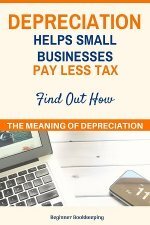 For smaller receipts you can take a photo of them with your smart phone and load or email them to your computer or online storage provider such as Dropbox, OneDrive or pCloud. will fill up fast if you save a lot of photos or videos. always back up your hard-drive every day for business purposes using a removable device such as a flash drive or a portable hard drive (and keep them in a separate location to the business). Or, back-up to an online facility. Most anti-virus providers have the option to back-up your folders to their storage site so check it out. 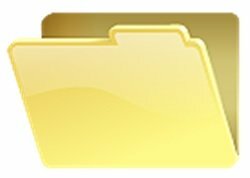 A computer filing system (on your hard-drive or online) contains folders like in this graphic – no doubt you’ve seen them already. Inside these folders, you can open more folders, and inside those, more folders – so you can have several layers or tiers of folders all with their own names and within those folders you will store your documents, photos and videos. You can be super organized! 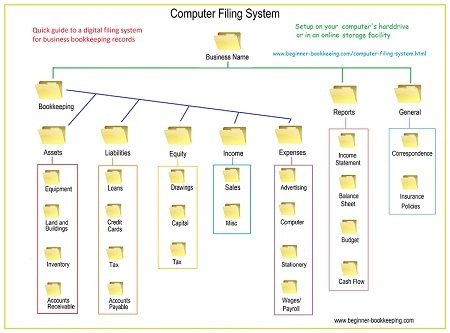 The diagram at the top of this page is a good visual for explaining the computer filing system specifically aimed at organizing your blogging or business financials. 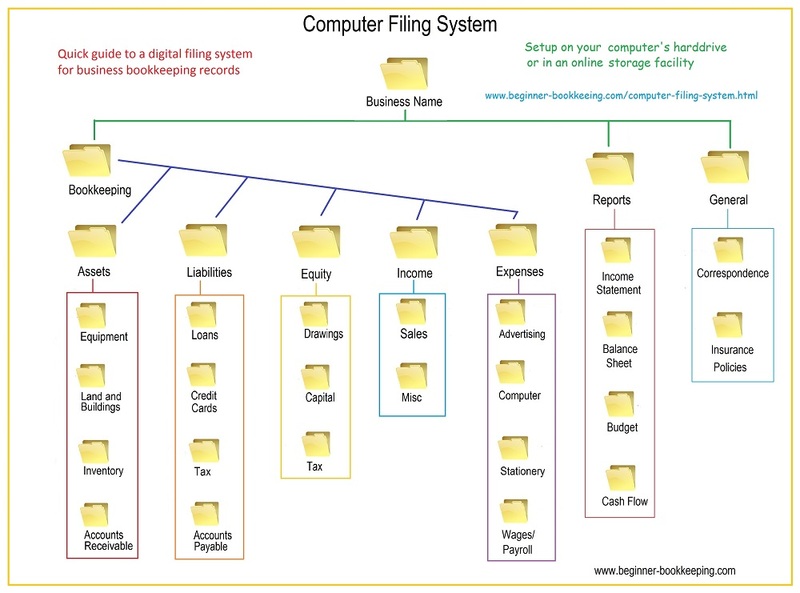 This computer filing system is based exactly on how your data is laid out in bookkeeping software and makes it very easy to find any document you or your bookkeeper require really fast. To get serious about secure storage and to be able to securely collaborate on and share documents between users I recommend pCloud File Security. Signup and get 20GB free storage - great for personal use. The Business Premium Plus which costs $7.99 a month or $95.88 per year (save 20%) which comes with 2TB storage (which is more than enough for any small business). So now we get started. Keep in mind that the example folders provided here are just that... examples, and there is no restriction to how many folders you can open. Setup your Main folder. Give it a name, perhaps the name of your business. To open a new folder, start in your Storage location of choice, right click your mouse and click on New > Folder - then name it. Double click on your new Main folder to get inside it. 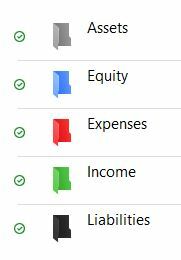 There is a way to change the standard yellow folders into all different colors, or even to have different icons. Techradar have an article on that here discussing how to do it using Color Marker Free. They have a free version and paid versions. Here is an example that I did using Color Marker Free. Accounts Receivables - keep copies of unpaid sales invoices here. Once they are paid move them to the Income folder. 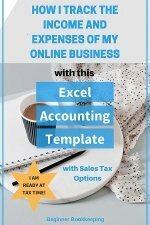 Another option - you could keep one copy here and one copy in the Income folder and then when paid just delete the one from this accounts receivable folder. Accounts Payable - here you can keep copies of your purchase invoices and then when they are paid move them to the relevant expense folder. An alternative, just like accounts receivables is to keep one copy here and one copy in the expense folder, and then when the customer pays remove the copy from the accounts receivable folder. Drawings - for receipts or invoices that you paid for with business funds but are for personal use. Capital - keep any documentation relating to funds you introduce to the business. List folders in alphabetical order – see deductible business expenses for an example listing, and then in those folders file each document using the name of the vendor/supplier. If you have a big load of expense documents you can manage them more easily by opening files for each month within each expense folder and store the vendor documents in month order. If you enter invoices into your bookkeeping software using the date of the invoice, file the documents in that same month. If you enter them into your bookkeeping software at the date you pay them, then enter them into the computer filing system in the month you paid. 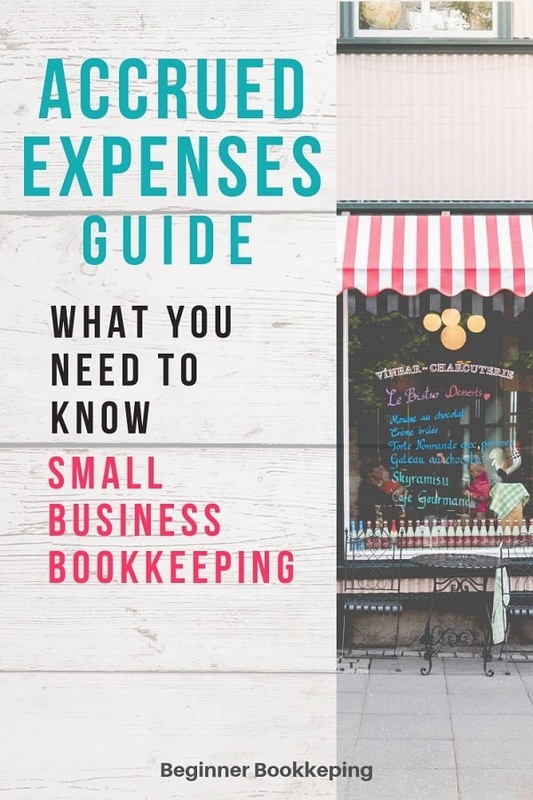 ….. whatever relates to your business that does not directly affect your financial data (meaning whatever is not entered into the bookkeeping software). Now your computer filing system is ready. What remains is for you to move your scanned or emailed documents into the folders after you have entered the necessary information into the bookkeeping software. A computer filing system makes it very quick and easy to search for a document you need. You simply enter the name of the document you require into the search bar and hit enter on the keyboard. Your results window should be populated with a list of similar named documents for you to choose from. As long as you have filed each document with an appropriate name, you will find what you need a lot faster than rifling through a physical/paper business filing system. You can also check out our business filing system tips for more information on filing papers.